12/27 - Plane has Emergency Landing in Field – Bruff’s Island Rd. – Easton, Md. 12/27 - MVC with car in water – Harmony Rd. – Denton, Md. 12/24 - MVC with Entrapment – Milford-Harrington Hwy (DE 14) – Houston, Del. 12/16 - Fully Involved House Fire – Collier Lane – Easton, Md. 12/11 - Mini-Storage Fire- Camden, Del. 12/09 - House Fire – 303 Oak Ave. – Easton, Md. 12/09 - Fatal MVC with Ejection – Route 33 & Blueberry Acres – St. Michaels, Md. 11/29 - Fatal MVC with Heavy Entrapment – Route 333 – Oxford, Md. 11/29 - House Fire – Franklin Street – Harrington, Del. 11/27 - MVC with rollover – Route 301 – Queenstown, Md. 11/26 - Fatal MVC – Route 213 – Centreville, Md. 11/24 - High Speed Chase Results in MVC – Route 404 – Wye Mills, Md. 11/19 - MVC – Walt Messick Road (DE Route 14) – Harrington, Del. 11/18 - Fatal MVC – Glebe Road & Easton Bypass – Easton, Md. 11/05 - 2 Alarm Building Fire – 101 Maple Ave. – Preston, Md. 10/31 - Fatal with heavy entrapment – Temple Rd. – Marydel, Md. 10/30 - House Fire – 7332 Pea Neck Road – St. Michaels, Md. 10/30 - MVC with injuries – Dover Road – Easton, Md. 10/30 - Maryland State Water Shuttle Drill – Denton, Md. 10/14 - MVC involving Tractor Trailer – Ocean Gateway – Easton, Md. 10/13 - MVC with injuries – Tuckahoe Road – Hillsboro, Md. 10/12 - Kent County Fire Chiefs Recognize Girl – Hartly, Del. 09/16 - Fatal MVC – Route 301 & Route 304 – Centreville, Md. 09/11 - MVC with injuries – Route 309 – Cordova, Md. 09/08 - Structure Fire – Brownsville Road – Harrington, Del. 09/05 - Tree falls across road onto vehicle – Main Street – Hillsboro, Md. 09/04 - MVC w/ Rollover – Walston Switch & Mt. Hermon Rd. 09/02 - MVC with Rescue – RT50 and Beaglin Park Dr.
09/02 - Overturned Tractor Trailer – Longwoods Road – Easton, Md. 09/01 - MVC with rollover – Shore Highway – Queen Anne, Md. 08/29 - MVC involving Tractor Trailer – Route 301 – Galena, Md. 08/25 - MVC with rollover – Route 50 – Wye Mills, Md. 08/21 - Controlled Burn – South Main Street – Federalsburg, Md. 08/20 - Accident w/ Rescue – Delmar De. 08/17 - Overturned Tractor Trailer – Route 328 – Cordova, Md. 08/14 - MVC, Car vs. Pole – Route 331 – Preston, Md. 08/14 - MVC with rollover – Shore Highway – Queen Anne, Md. 08/12 - House Fire – Cemetery Road – Hillsboro, Md. 08/09 - Car into a House – Delmar Del. 08/08 - Fire on Railroad Bridge – Queen Anne, Md. 08/08 - Building Fire – Hog Lot Rd. – Ridgely, Md. 08/08 - MVC with rollover/entrapment – Route 328 – Cordova, Md. 08/08 - MVC – Train vs. Tractor Trailer – Barclay, Md. 08/07 - Police chase ending with MVC – Wye Mills, Md. 08/06 - MVC – duPont Highway (US 13) – Harrington, Del. 08/03 - Serious MVC – Car vs. Tractor Trailer – Route 404 – Queen Anne, Md. 07/29 - Fatal Rollover MVC – S. duPont Highway – Harrington, Del. 07/23 - Plane Crash – Ridgely Airport – Ridgely, Md. 07/21 - MVC w/ Rollover – Laurel Del. 07/17 - Structure Fire – S. duPont Hwy and Evens Rd – Felton, Del. 07/16 - Boat Accident – Wye River – Easton, Md. 07/12 - Serious MVC with rollover – Shore Highway & River Rd. – Denton, Md. 07/12 - Serious MVC involving Milk Truck – Church Lane – Cordova, Md. 07/09 - Serious MVC involving motorcycle – Chapel Rd. – Easton, Md. 07/06 - MVC with minor injuries – Route 50 & Chapel Rd. – Easton, Md. 07/04 - MVC – Car vs. Tree – Route 309 – Cordova, Md. 07/03 - MVC with rollover – Route 309 – Cordova, Md. 07/01 - Barn Fire – Burrsville Road – Denton, Md. 07/01 - 2 Alarm Building Fire – South Main Street – Federalsburg, Md. 06/28 - MVC Car vs. Pole – Ridgely Road – Ridgely, Md. 06/28 - House Fire – Hunting Quarter Road – Houston, Del. 06/18 - House Fire – River Landing Road – Denton, Md. 06/14 - MVC involving Hazmat – Hillsboro Rd. & Butler Rd. – Hillsboro, Md. 06/09 - Unresponsive subject – Wooded trail at Tuckahoe State Park – Ridgely, Md. 06/04 - MVC with Door Pop – Milford-Harrington Hwy (DE 14) and Deep Grass Lane – Houston, Del. 06/03 - MVC – Milford-Harrington Hwy (DE 14) and John Andrews Dr – Harrington, Del. 06/02 - MVC with Heavy Entrapment & Ejection – Shore Highway – Queen Anne, Md. 05/31 - MVC involving a scooter – Washington Street – Easton, Md. 05/28 - Rollover MVC – Vernon (DE 14) and Parker Roads – Harrington, Del. 05/27 - Serious MVC involving motorcycle – Shore Highway – Denton, Md. 05/27 - MVC with rollover – Thawley Road – Hillsboro, Md. 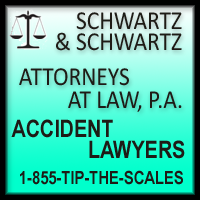 05/26 - MVC – Middletown-Warwick Rd (US 301) and Main St (DE 299) – Middletown, Del. 05/26 - Hotel Fire – N. Salisbury Blvd. 05/24 - MVC with Entrapment – Shore Highway & Deep Shore Rd. – Denton, Md. 05/13 - Possible Drowning – Choptank River – Denton, Md. 05/13 - Box Truck into the woods – Oakland Road – Goldsboro, Md. 05/12 - MVC involving Tour Bus – Route 213 – Centreville, Md. 05/12 - MVC with Box Truck – Ocean Gateway – Easton, Md. 05/08 - MVC with minor injuries – Ocean Gateway – Trappe, Md. 05/07 - MVC involving Motorcycle – Central Ave & Ridgely Rd. – Ridgely, Md. 05/06 - Double Fatal – Route 33 – Easton, Md. 05/05 - Serious MVC – South end of the Bypass – Easton, Md. 05/01 - Heater Malfunction – Weiner Ave – Harrington, Del. 04/27 - MVC with reported entrapment – Rt. 328 & Kingston Landing Rd. – Cordova, Md. 04/22 - Barn Fire – Boyce Mill Road – Greensboro, Md. 04/20 - Garage Fire – 6066 Bell Creek Road – Preston, Md. 04/16 - Serious MVC with ejection – Blades Road – Cordova, Md. 04/04 - Plane Crash with Heavy Entrapment – Ridgely Airport – Ridgely, Md. 04/02 - Controlled Burn – Legion Road – Denton, Md. 03/31 - MVC with minor injuries – Route 50 & Dover Road – Easton, Md. 03/29 - MVC with rollover & ejection – Route 328 – Denton, Md. 03/25 - Two Alarm House Fire – Bethlehem Road – Preston, Md. 03/19 - Fatal MVC – Drapers Mill Road – Greensboro, Md. 03/15 - Structure Fire – 117 Grove Cove Road – Centreville, Md. 03/02 - Extrication Drill – Henderson Auto Salvage – Henderson, Md. 02/25 - MVC reported serious – Route 50 & Chapel Road – Easton, Md. 02/20 - Chicken House Fire – 12805 Kibler Road – Greensboro, Md. 02/19 - Barn Fire – Poplar Neck Road – Preston, Md. 02/18 - Departmental MVA – Delmar Md. 02/18 - Shed Fire – 21110 Dover Bridge Rd. – Preston, Md. 02/16 - Natural Cover Fire – Tuckahoe Road – Denton, Md. 02/12 - Controlled burn – Marsh Creek Road – Preston, Md. 02/12 - Controlled burn – Three Bridges Road – Federalsburg, Md. 02/11 - Accident w/ Rollover – Pittsville Md. 02/08 - Serious MVC – Truck vs. Ag Sprayer – Route 404 – Denton, Md. 02/04 - House Fire – Bethlehem Road – Preston, Md. 01/30 - House Fire – 9338 Gannon Road – Easton, Md. 01/27 - Vehicle Fire – Blades De. 01/24 - House Fire – Dover Neck Road – Easton, Md. 01/22 - Structure Fire – 621 Grange Hall Road – Centreville, Md. 01/21 - Working House Fire – Fruitland Md. 01/15 - Head-on MVC with entrapment – Route 309 – Cordova, Md. 01/13 - Train vs Van – Fruitland Md. 01/07 - Vehicle Fire – Ocean Gateway – Wye Mills, Md. 01/03 - MVC with entrapment – Greensboro Rd. – Greensboro, Md.